Here’s some wham-bam gung-ho violence before bedtime, starring two of the action genre’s most popular performers. Power Rangers director Isaac Florentine reunites the snarling villainy of Cary-Hiroyuki Tagawa with the beefy heroics of Dolph Lundgren for this retarded B-movie, who had previously worked together on 1991’s Showdown in Little Tokyo. The premise is slightly puzzling: a futuristic fairytale in period costume. 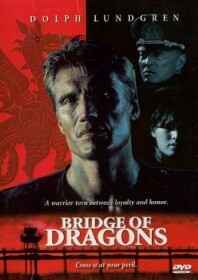 Here are the key points: Lundgren is a soldier indebted to a sadistic general (Tagawa) who vows to marry a spunky kung fu princess (Valerie Chow) in order to install himself as rightful ruler. She escapes his grasp to lead a rebellion with the peasant folk alongside Lundgren and his big bulging muscles. This was Nu Image’s first film to be shot at their newly acquired former Communist Bloc studios in Bulgaria, with a script which was apparently completely re-written in the immediate lead-up to filming. This might explain why it seems to be suffering from a slight identity crisis, sitting somewhere between a war drama, a John Woo-style action movie, an episode of Power Rangers and The Adventures of Robin Hood. It’s curious but not wholly unpleasant.